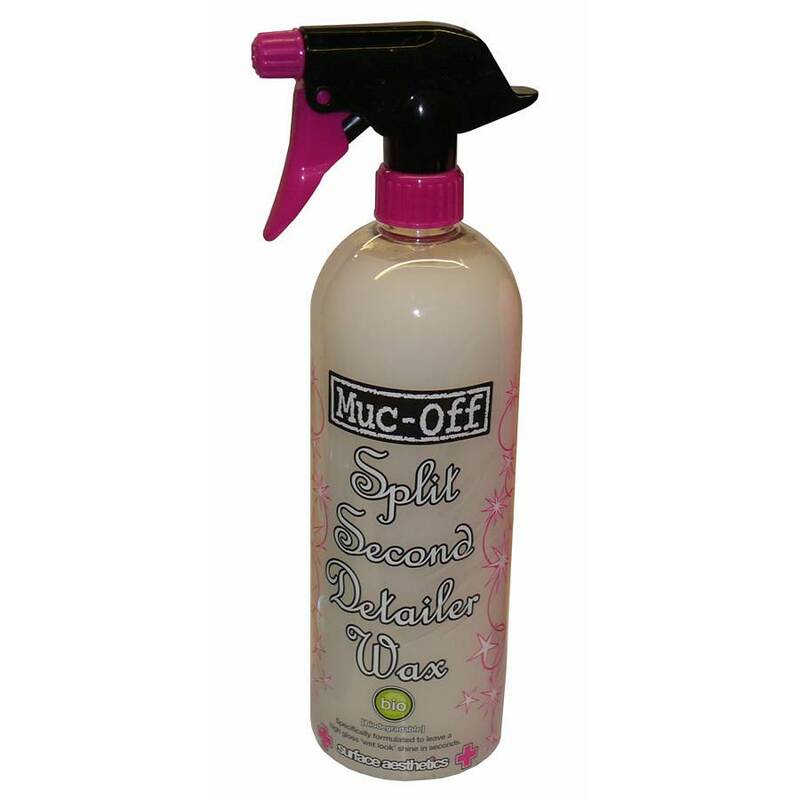 Muc-Off Split Second Detailer is a quick & easy to use spray-on wax which creates a stunning high gloss 'wet look' shine. It details your bodywork in seconds leaving behind a protective 'water beading' finish. Use either while the vehicle is still wet (post wash) as a spray on wax or as a detailer to remove light contaminants in between washes. Our advanced 'high lubricity' naturally derived formula will safely lift off dust or light surface blemishes without the need for a complete clean, perfect if your vehicle gets caught in the rain or has been in storage.